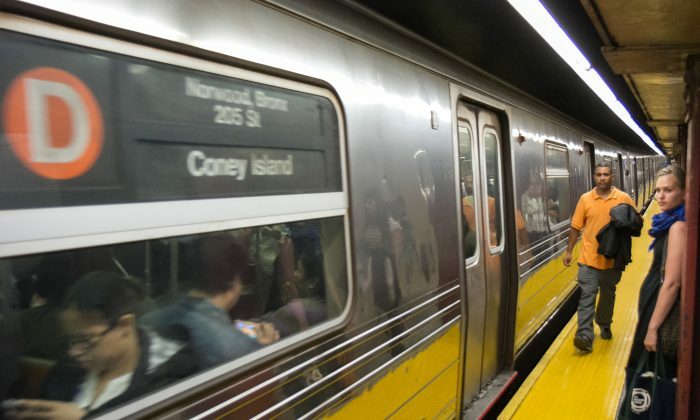 New York City subway system reached the highest ridership numbers yet in the month of September, the MTA announced Wednesday. The transit system reached a ridership of 6,106,694 on Sept. 23. That’s the most riders in a day that the MTA has seen so far and almost double the number from 20 years ago. “New Yorkers and visitors alike continue to vote with their feet, recognizing that riding the subway is the most efficient way to get around town,” said MTA Chairman and CEO Thomas Prendergast. Prendergast said that more repairs and installments would come with the ridership increase. MTA President Carmen Bianco noted that with the increased crowds, the transit system was under more pressure to operate at all hours. The record for single-day ridership was broken five times in September. On four other September days, the ridership exceeded six million. In total, this year’s September saw 149 million customers, more than any other September in 60 years, an MTA press release stated. The last time the subway was this busy was during the World War II era, according to chief planner William Wheeler at a press conference about Wi-Fi being added to city subway stations. The increase in ridership might be in part due to the People’s Climate March and other climate related events in late September. On the march day alone, 2.9 million customers rode the subway, despite it being a Sunday. It might have been the Sunday with the highest ridership since the late 1940s. MTA officials started keeping track of daily figures in 1985. New York City's transit system is one of the largest in the world, and has the only major subway system that operates 24-hours a day.